Samsung Galaxy Note 4 (SM-N910G) latest firmware Android Version 6.1 and official Android lollypop 5.0.1 download link for free you can download both of version if you want to install old version then you can download android 5.1 for SM-N910G then you can directly download that package on google drive or want to update with latest version android 6.1 with Odin. if you want to update your phone with latest version Marshmallow 6.1 then try another link you will find the latest version. If you,r Phone is Power ON and you just want to update your phone through WIFI downloading updates on your phone form setting then about device then tip on software update then you phone will check it,s latest update.The SM-N910G update OTA package size is about 1.6GB - 1.8GB if you have good wifi connection then you can easily download it. Same time you are unable to flash you sm-N910g with Odin then you have to root your phone then you can flash it whit Odin if you want to just root you SM-N910G on android 5.1 then you can download Samsung Galaxy SM-N910G Root file we share it,s download link also. If after entering in to download mode and Odin fails to flash you,r SM-N910G then download the root file and write it Odin then try to flash which ROM you download Odin will flash then. 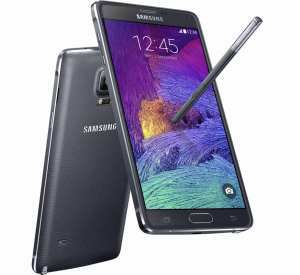 How to flash Samsung Galaxy Note 4 SM-N910G with Odin? That firmware update is only for only for Samsung Galaxy Note 4 (SM-N910G) don't try to install that firmware on other models of Samsung Android devices that can destroy your phone.